Who are Burda and why did they want the RadioTimes publisher? This week, German publisher Hubert Burda Media confirmed it has completed a deal to take over Immediate Media, the company behind the RadioTimes and other former BBC magazine titles. The amount paid for Immediate Media hasn't been disclosed, but according to the FT, the deal is believed to be worth £260million, City AM puts it at £270million. It now means three UK TV listings magazines are now in the hand of German parent companies - Total TV Guide and TV Choice are owned by a subsidiary of the German H Bauer publishing empire. 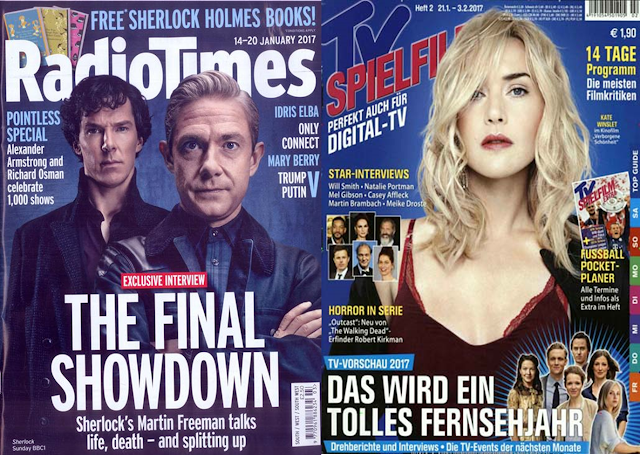 Germany has over 20 TV listings magazines on the market, compared to the six weekly TV magazines on sale in the UK, but the new RadioTimes owner only has a relatively small share in that market through TV Spielfilm and TV Today, two mostly male-orientated 14-day listings magazines. TV Spielfilm offers users in Germany a TVPlayer-style live streaming service, providing access to all major German TV channels. Hubert Burda Media also has small stakes in a number of local TV and radio stations. Despite the RadioTimes - the UK's oldest listings magazine - having declining sales, Burda chief executive Paul-Bernard Kallen said the magazine was “growing in terms of sales and profitability”, adding that listings magazines more generally were benefiting from the increased complexity of TV programming. But it's away from the TV listings market where some of the biggest synergies between Burda and Immediate Media sit. With Burda Style, the German company has its pulse on the sewing market, with the company having one of the largest databases of digital sewing patterns, which it distributes to Burda Style customers. This is an area Immediate Media has been attempting to exploit more through its magazines and the impending launch of new TV channel Sewing Quarter, coming soon to Freeview channel 78. The launch of the new channel follows on from the acquistion of shopping channel Jewellery Maker in 2015, tapping into the lucrative arts and craft market. Over in Germany, Burda's news magazine Focus has a spin-off production company that provides a number of factual magazine programmes for German commercial TV broadcasters, but hasn't yet entered the German teleshopping market.